Artful Affirmations: Tea Cup Tuesday-Gift Cup! You lucky gal!! You're right the ripples make the tea look so cute! And the card is adorable. What a lovely thing for your friend to do! The cup is very pretty and you have described it well. I enjoyed the info on it too. Lovely card she sent with it. Surprises are lovely, aren't they? Thanks for sharing your pretties with us. I love love love getting teacup history from you here! That cup is stunning as usual, those roses look deep in color the photos just lovely. The card is awesome! 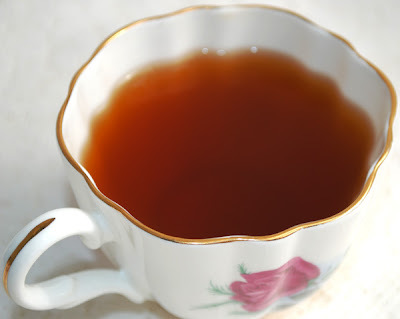 I accidentally put the name of the soup in my teacup this week and not my blog name on my link up...DUH sorry about that! Hi Terri. What a great gift! How sweet. The mark is their 1950s mark, BTW. The card is so cool! 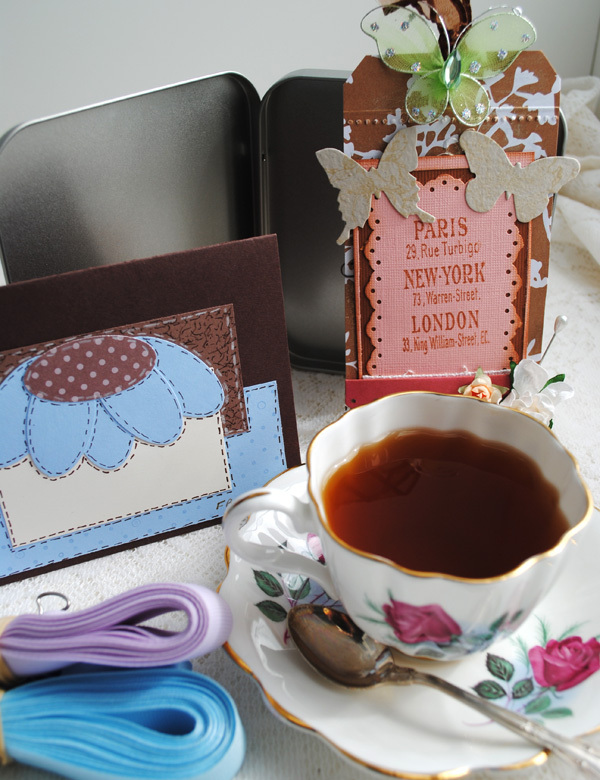 how sweet that you were sent a beautiful teacup all the way from canada! and i love the handmade goodies too! so lucky! thanks for sharing and hosting again! have a wonderful day! 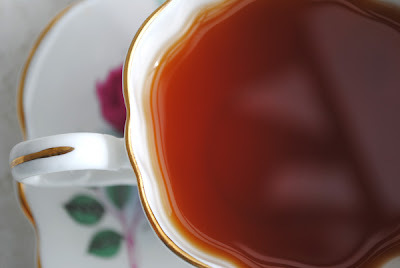 that was so nice of your friend to end you this beautiful tea cup. It is really charmingd ecorated and looks so feminine. Thank you for sharing your treasures and for hosting with Martha this nice event. That is a lovely teacup. The shape and roses are pretty and I like the wispy fern in the background. 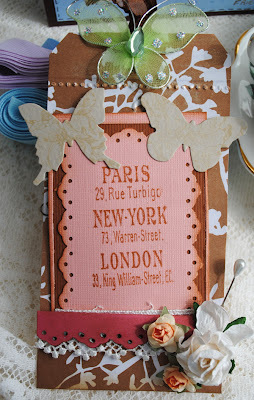 Katherine's card and tag are great too - thanks for the link. Looking forward to hearing about your visit to the History of Tea exhibit. Yay....how beautiful Terri...and from my spot in the universe!! Lovely! gorgeous photos as always!What a lovely post..such charming treasures!! fellow bloggers are so wonderful aren't they!! Enjoy your day...have a sparkling week! 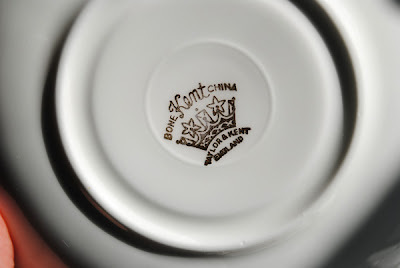 what a sweet tea cup and gorgeous tag! I always love seeing what you have to offer here...your blog is so inspiring. What a wonderful surprise and such a pretty cup! Thanks for hosting Terri. You do have very generous friends in blogland, Terri! The cup is so beautiful... and the card so sweet! I loved to see the backstamp. que delicia é ganhar presentes belos! How nice to receive such a pretty tea cup as a gift. Just shows you how special your weekly blog sharing has been to so many, that people think of you when they see a tea cup! 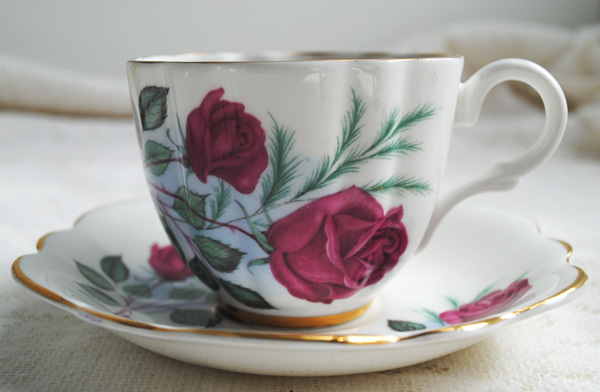 Hope you enjoy your cup of tea today in your pretty new cup. What a wonderful cup! I love the scalped edges and it's such a great gift. As always thanks for sharing it with us and for hosting such a fun blog hop type thingy (I don't know what to call it LOL). What a marvelous tea cup!! So pretty and just the style I love!! Thanks for hosting and thnaks for your visit!! What a beautiful tea cup Teri! That was so very sweet of Katherine. Enjoy it. Really sweet cup and saucer Terri, made all the more precious as it was a gift from a friend! Hopefully I can join you all again in the near future with a cup or two! What a beautiful tea cup and gift, you're so deserving Terri! I only own one tea cup and maybe one day I'll be brave and enter my picture on your blog though I'm not sure if it's good enough. Love looking at all the tea cups you share! What a lovely teacup. I knew it was familiar, my Mum has a set just like it! What a pretty teacup and made with creative card treat that your friend sent you!.., Enjoy! ~ Thanks so much for hosting and also sharing this teacup with us! 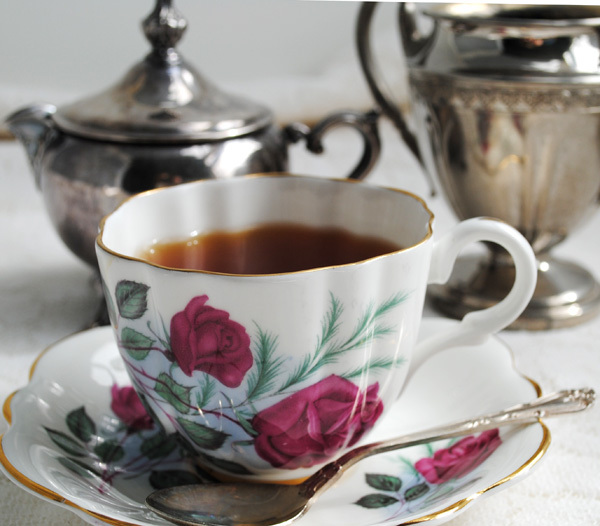 Happy Teacup Tuesday and Tuesday Tea Time In Blogland! Please always feel most welcome to visit me. This week marks my 98th, 'Tuesday Tea For Two' and also the '69th, 'Teapot And Tea Things Tuesday'. Terri - What a lovely prize you received! Yes, I can see why it reminded your friend of you. I notice you are very descriptive of shape when you are showing a cup. 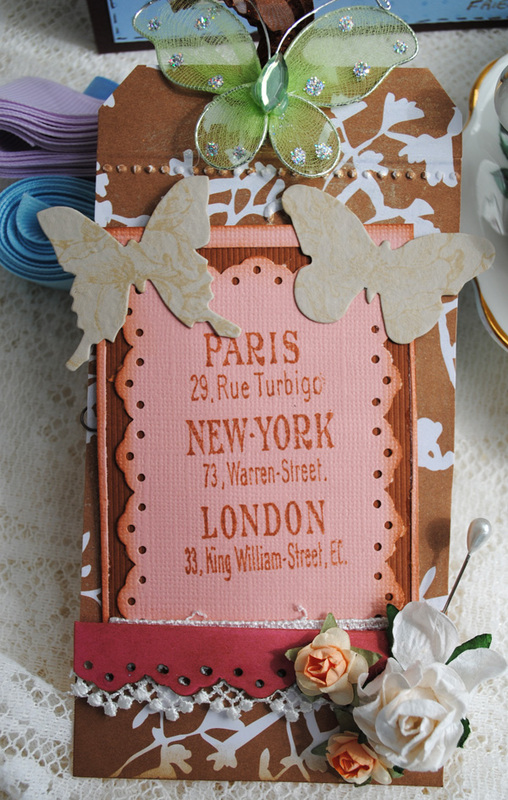 The scalloped edges along with the mix of color would be of interest to you. It is lovely! Your informative teacup show and tell has helped me to be more discerning when inspecting cups. I could not comment on your blog yesterday, don`t know why,but there were no comment box! But yes- now it works again. The gifted cup is a beauty, and so sweet with the edge-and the card so sweet, too. What a lovely surprise from your dear friend! It is indeed a beautiful gift. TFS and warm hugs to you.